People looked at each other and said, “Who is this Mr. Fantrau?” as nobody heard of this name before. Curious to know more, the Journalists went to inquire and were able to meet this Albert Fantrau to ask him if the story told by Ronaldo is true, and he confirmed it, adding that his footballer’s career had ended after that match as it was the only opportunity he had to become professional and since then he has remained without employment. Albert’s response: “All right, ALL these are Ronaldo’s Gifts”. Let us ask ourselves the following question: how many of us have ever done something similar to that of Ronaldo and Albert? Let’s help each other so that we are proud of the successes of our brothers / sisters / friends / relatives. And when one helps us to succeed, this person should never forget the people who have contributed to this success in life. Always believe in yourself when nobody does. Always try to be the best in the business. Your name should be synonym for success. You do your talking on the pitch, not off it. Always celebrate like it’s your first time. Never retire after a loss. Hard work can beat everything – He is the world number one for a reason. The reason behind it is his hard work. Not only hard work but the continous hard work he does to be the best. So hard work can beat talent. Once Gareth Bale was telling about one incident that one day he decided to go early for training , he reached 2 hours early, when he reached there he saw Ronaldo was already practicing. Family comes first – You would have heard the news of Christiano Ronaldo breaking up with Irina Shyak because she disrepected his mother. Thats one of th3 best thing you can learn from him that family comes first. Never forget who was there when you were struggling – By this I mean Sir Alex Ferguson .Ronaldo respects him alot and never forgets to thank him. Moreover Man Utd was the club which took Ronaldio where he is now so he showed respect by not celebrating a goal against them in the champions league few years back. Believe in your talents – Everyone has some form of talent. Ronaldo started training from a very young age and has always been passionate about the beautiful game. However, there were many occasions where people doubted Ronaldo’s talent. Even he himself occasionally had doubts. One such incident was at the start of the 2007–2008 season. Ronaldo was red-carded for a headbutt on Portsmouth player Richard Hughes during Manchester United’s second match of the season, for which he was punished with a three-match ban. He became extremely down as there were severe criticisms of his talent. However, Ronaldo would not back down because he had deep self-belief not to doubt his talent. Do you work passionately to develop your talent? Do you believe in your talent? Do you believe you can be world class in the things you do? Stay one step ahead of your competitors – Over the years, Ronaldo has adopted his game so that he can score goals from anywhere in the opposition’s half. Ronaldo trains rigorously so that he is always one step ahead of his opponents. He initially was the king of step-overs. Then, when the opposition started to figure out his moves, he improved his game in different areas. How do you stay ahead of the game? What is your strategy to keep improving yourself so that your competitors will not be able to predict your next moves? Respect your mentor – Sir Alex Ferguson and Ronaldo have had an interesting relationship. Ferguson helped develop Ronaldo and Ronaldo took his sage advice frequently. Although their relationship reportedly went sour, Ronaldo called Ferguson his father and his most influential person when he quit and went to Real Madrid. Never stop learning – Despite winning the World Footballer of the Year title and the Ballon d’Or, and dating supermodel Irina Shayk, Cristiano Ronaldo does not seem to ease up his training regimen and learning programmes. He continues to push himself hard and keeps learning new tricks to enable him to remain the king of football. 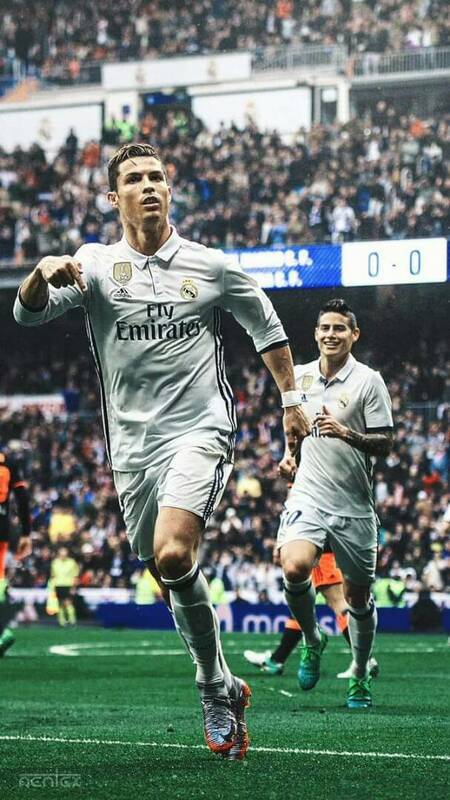 Born Cristiano Ronaldo dos Santos Aveiro on February 5, 1985, in Funchal, Madeira, Portugal, a small island off the western coast of the country, Ronaldo is the youngest of four children born to Maria Dolores dos Santos and Jose Dinis Aveiro. He was named after Ronald Reagan, one of his father’s favorite actors. Ronaldo grew up in a largely working class neighborhood in a small tin-roofed home that overlooked the ocean. His early life was shaped by hardship; his father, a gardener, often drank too much, and eventually died from kidney problems in 2005. To help keep the children fed, and maintain some financial stability, Ronaldo’s mother worked as a cook and cleaning person. By his early teens, Ronaldo’s talent and legend had grown considerably. After a stint with Nacional da liha da Madeira, he signed with Sporting Portugal in 2001. That same year, at the tender age of 16, Ronaldo turned heads with a mesmerizing performance against Manchester United, wowing even his opponents with his footwork and deft skill. He made such an impression that a number of United players asked their manager to try and sign the young player. It wasn’t long before the club paid Ronaldo’s team more than £12 million for his services – a record fee for a player of his age. Ronaldo did not disappoint the soccer world. He showed his promise early on in the 2004 FA Cup final, scoring the team’s first three goals and helping them capture the championship. In 2008, a year after signing a five-year, £31 million contract, Ronaldo again justified his high salary when he put together one of the club’s finest seasons in history, setting a franchise record for goals scored (42), and earning himself the FIFA World of the Year honor. In all, Ronaldo helped steer Manchester United to three premier league titles. But Ronaldo’s time in England was marred by his mother’s 2007 struggle with breast cancer as well as his father’s death from alcohol-related illness. The latter was especially hard for Ronaldo as the two had been close, and the young athlete had often pushed for his father to enter rehab and address his drinking. His father, however, never accepted the offer. As lauded as Ronaldo was on the field for Manchester United, his commitment to the club came under constant question. Speculation swirled that he wanted to play elsewhere. So in 2009, when Spanish soccer club Real Madrid agreed to pay United a record $131 million for the chance to sign him, nobody was all that surprised to see Ronaldo leave United. On July 10, 2016, Ronaldo added another emotional victory to his accolades, leading Portugal to the European Championship final against France as his national team’s captain. Although he was sidelined after suffering a knee injury 25 minutes into the match, Portugal went on to win the championship title 1-0, their first international trophy. Ronaldo’s teammates said that he motivated them as team captain from the sidelines. “He gave us a lot of confidence and he said, ‘Listen people, I’m sure we will win this Euro so stay together and fight for it,’” full-back Cedric Soares said after Portugal’s victory. Always work hard to achieve your goal. We can learn a lot about life. Cristiano Ronaldo is living proof that hard work can beat talent. He shows that if you truly want something and are ready to make sacrifices, then achieving it is just a matter of time.